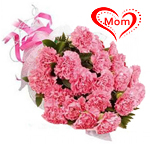 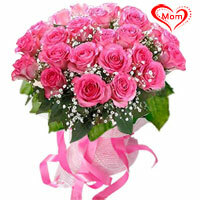 Fresh Pink Roses Bouquet Luscious Pink and White Roses Bunch Fresh Baked Black Forest Cake Pink Carnations Bouquet (12/18/24 Pcs) - Love U Mom Very Much !! 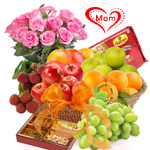 Mothers are the couturiers of our everyday livelihood---their silent but sturdy abetment in our every endeavor boosts up our confidence and intensifies our strength. 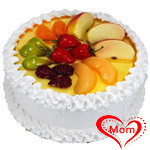 Mother’s Day is the time to greet these couturiers with the amore distinctively treasured in heart for them. 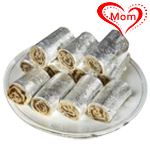 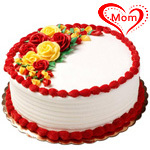 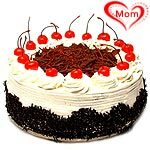 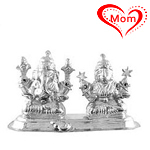 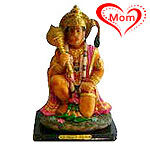 On this Mother’s Day in Bangalore, glut the nucleus of your mother with opulent delight by presenting her jovial bestowals like Nutritious Fresh Baked Black Forest Cake, Spectacular Silver Lamp Set, Pretty 12 Pink Roses Bunch with a Small Cute Teddy Bear, Powerful Hanumanji Idol and numerous of such appealing presents. 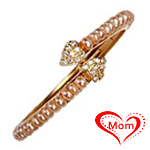 A mother’s lap is the most blissful sanctuary in the world to forget all agonies and experience profuse solace. 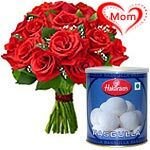 Mother’s Day is the occasion to laud the prized occupancy of our mothers in our lives and their tireless trials in meliorating our progress, through heart-brimming maneuvers. 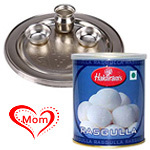 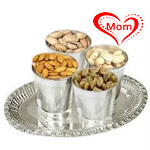 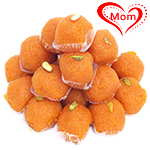 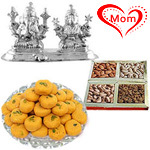 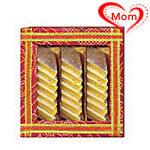 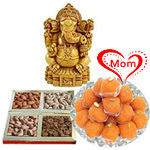 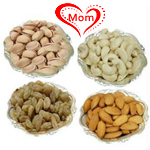 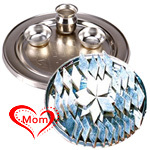 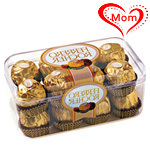 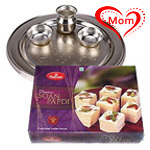 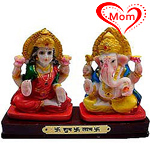 During this Mother’s Day in Bangalore, saturate the core of your mother with exuberant elation by gifting her cheerful tokens like Arrangement of 12 Red Carnation, Motichur Ladoos, Ladies Clutch Purse with Key Ring and Pen Gift Set, Set of 6 Feng Shui Laughing Buddhas and myriads of similar entrancing Gifts. 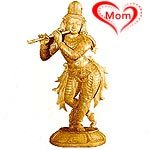 Hustle and Bustle of daily life makes it difficult to say to our mothers how much of their presence is desired by our every breath and how much are they missed when officious compulsion makes us separated from them. 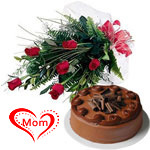 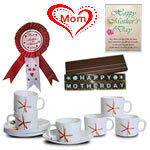 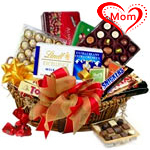 The bout of Mother’s Day brings the moment to voice out to mothers this exquisite feeling by caressing endeavors. 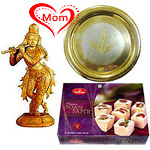 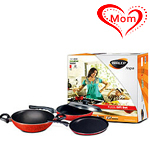 At this Mother’s Day in Bangalore imbue the soul of your mother with blithe mirth by bestowing her with siren presents like Lucky Lakshmi Ganesha Gift Statue, Breathtaking Sandalwood Lord Krishna, Spectacular Stainless Steel Full Cutlery Set, Spectacular Bathing Essential Combo Presented by Avon and many of such fitting offerings.